The ACHS swim team had a great outing last week during their home match versus Barren County. On the boys side, the team finished first against Barren while the girl’s team finished second, however the ladies only competed with three swimmers. Cy Yarberry, Ryan Wilkerson, Michael Gold, Samantha Henson, and Patience Grubb all notched season best times in each of their respective events. Yarberry shaved four seconds in the 100 freestyle, Wilkerson dropped 10 seconds in the 100 freestyle, while Gold won the 100 freestyle while shaving his season best time by five seconds. Henson and Grubb each shaved two seconds off of all their times in each event they competed in. Coach Turk is hopeful that he will be able to take at least one swimmer to the state finals this season and in the program’s inaugural season, this would be a fantastic accomplishment. The team’s next meet is scheduled for Dec. 16 at Elizabethtown at 3 p.m. CST; their next home meet is set for Jan. 9th vs. Oldham County. Good luck to the swimmers and congrats on a great season so far! 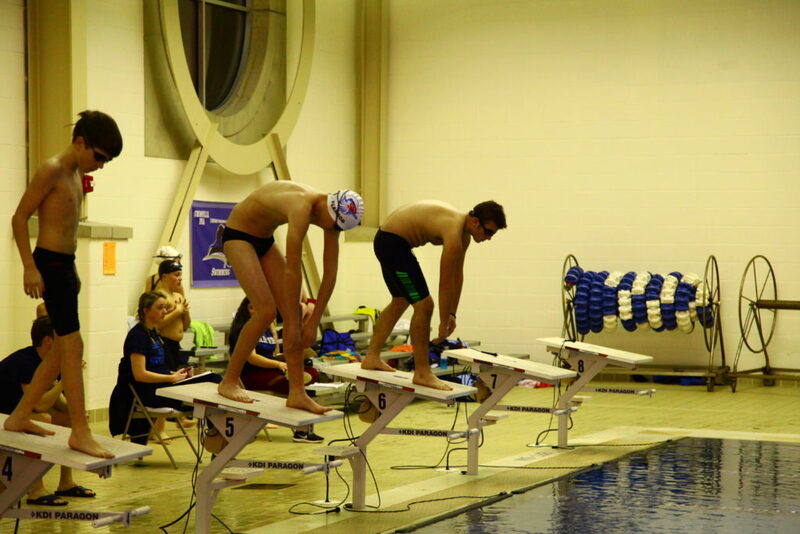 From left—Andrew Godsey, Garren Pearson, and Connor Anderson ready to dive into the pool for the 50 meter freestyle. 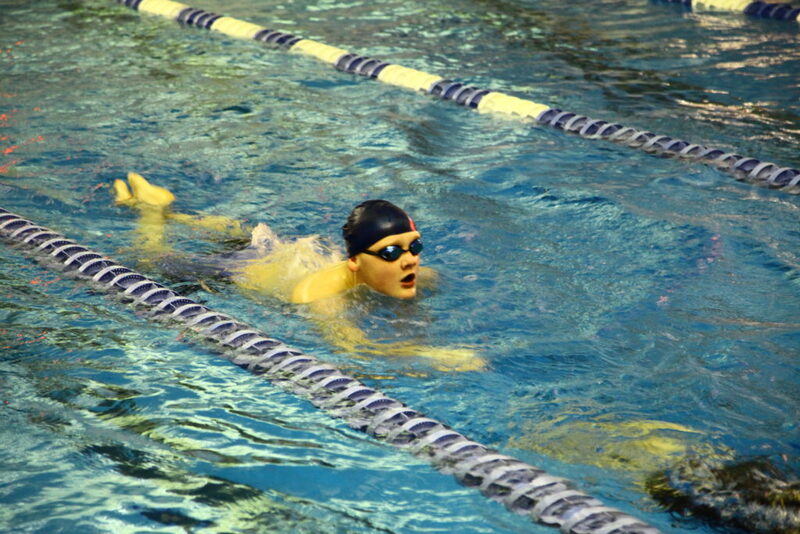 Cy Yarberry finished second in the 50 meter freestyle on Thursday against Barren County.